Philomena gathered her full height and put her chin up. "I am not Lord Valentin&apos;s daughter." Rainhart&apos;s response shocked the breath from her lungs. "I know," he said. Taking two instinctive steps back, Philomena echoed, "You know?" Rainhart winced. "There were rumours in Monsilys too. Questions in people&apos;s minds. The dogmaster. The Empress&apos; steward. I listened for any hints about the Empress&apos; plans, but I heard other things. 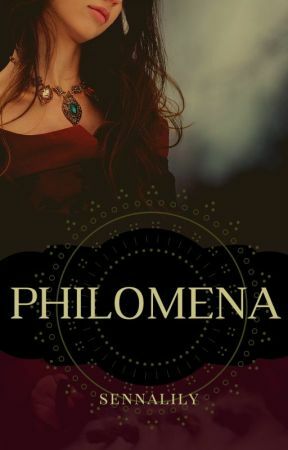 And it is difficult for me to ignore strong minds, like your brother Luca&apos;s."
There was a large blankness making it difficult for Philomena to process Rainhart&apos;s words. "You&apos;ve known since Monsilys? Why didn&apos;t you say anything?" "I figured that you would tell me when you wanted to tell me. You&apos;re still Lord Valentin&apos;s adopted daughter, Lady Philomena. And the Empress has owned you as her cousin. And your value is counted in more than who your relations are. I meant everything I said at Mullrose. What you&apos;ve achieved is amazing." Philomena searched behind her for a bench, and sat down. "This is quite unexpected." After a moment&apos;s hesitation, Rainhart sat beside her. "Do you mind if I ask how it happened?" "How an Alysine chambermaid became part of the ruling family of Jovan?" Philomena smiled without humour. "I&apos;m afraid it&apos;s a less interesting story than you might expect. Luca and I came to Jovan orphaned as I told you. Mother had an acquaintance working in the palace kitchens, so I managed to talk us both into positions." "You were, what, ten years old?" Philomena nodded. "Luca took a liking to a crossbred pup that the dogmaster was planning to drown, and--well, that was Argo, and just as the dogmaster was preparing to beat Luca and take the pup back, Lord Valentin was crossing the courtyard. He intervened." "A quixotic gesture," said Rainhart dryly. Philomena cast him a sideways look. "In retrospect, I think he may have been drunk. At any rate, it all ended with Valentin taking an interest in our case and sending us both to Whitefields to be educated and raised properly." She pulled a face. "It should be unsurprising that Lord Valentin&apos;s spiriting us away gave rise to rumours that he was our natural father--he travelled widely in his youth, and why else would a Sylvanus take an interest in a couple of Alysine brats?" "You are an extraordinary brat," Rainhart murmured. Philomena frowned at him. "I was very fortunate. Lord Valentin&apos;s wife had the moulding of me for three years. I learned to read and write, and a little of geography and history, and enough ladylike manners to erase my past. We saw very little of Lord Valentin, but he looked after us all the same. I am grateful beyond words to him." Rainhart nodded. He had a thoughtful expression on his face, as if he were sorting this information into what he already knew about her adoptive father. "Anyway, when the question of a marriage with Deusetats came up, the Empress needed someone of the right age and relation. And..." She hesitated, "you have to understand that she was facing a rebellion, and she needed Gallica secured. I believe she would have done whatever it took to get the King-that-was in her power. And here was this orphan girl with no relations to say otherwise, and about whose birth there were already rumours." Philomena had been in Monsilys for those tense times. 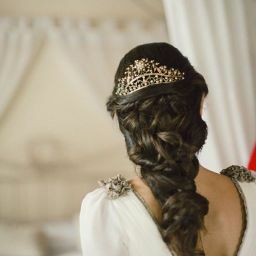 She had watched Luca and Lord Felix, Valentin&apos;s son, romping around the palace gardens, and she had watched the Empress&apos; advisors hurrying through the halls, talking in low voices about troops and supply lines, and the loyalty of this or that family to the crown.